Exploration: Using advanced technology and the expertise of our in-house geologists, we strive to determine where the richest reserves are likely to be. Development: The extensive experience of our development managers enables us to manage and adjust nearly all facets of our turn-key operations. Production: Our Production Department is structured and staffed to perform extraction and other tasks associated with operating and producing. Land Management: We handle evaluation and acquisition of oil and gas prospects for both developed, proven reserves and exploratory opportunities. Through acquisition and leasing, our Land Department manages approximately 20,000 acres in northwestern Pennsylvania. 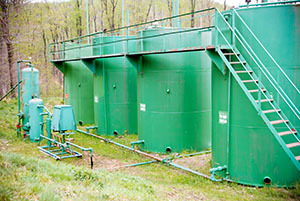 Marketing: We market oil, gas and natural gas liquids from our own wells, and we also perform this service for several other producers within our area of operation.